What is your reaction when you hear the word “debate?” Is this code for conflict? Entrepreneurs and humankind in general are inclined to try and persuade others to see their point of view. Unfortunately the art of debate has been stigmatized by what happens in the political arena. Political debate has degenerated into something far removed from the honorable tradition of true debate. Sometimes in our business and daily lives what is being termed as “debate” is also something much less noble. I remember taking debate classes in school. We were taught to construct factual arguments to support our position on an issue. In college my favorite class of all time was Logic. It was fascinating to listen to the professor walk us through various arguments that were commonplace in society and show us where the logic broke down. To effectively persuade and convince others to make decisions that we want them to make, it is helpful to frame our argument in solid facts and logic. To clarify, I’m not using the term “argument” in the “argumentative” sense but rather in the context of a thesis. Every time I read an article that might contain an element of controversy, I always think of my old college professor as I read the comments. There is often a lot of emotion on a particular subject which may result in ad hominem attacks, name calling and a loss of decorum. Usually when this happens, the offending party has already lost the debate because he/she can’t offer a logical opposing position supported by facts. In my opinion, the components of a healthy debate include a willingness to lay out one’s position in logical and factual manner; the ability to listen to and understand a contrary position without interruption; the ability to politely use facts and logic to counter the contrary position, and at the end of the day, the willingness to have respect for the person making the contrary argument. In other words, smile and shake hands when it’s all said and done. We may or may not persuade the other person to see our point of view and vice versa, but we avoided falling off the emotional cliff. 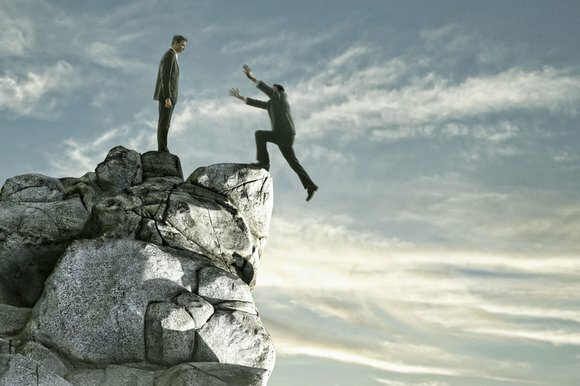 The emotional cliff is a dangerous place to be for entrepreneurs. I would much rather persuade someone to agree with my position on something using facts and logic, than appealing to their emotions. Using emotional appeal is another term for manipulation. Business does this every day through marketing a myriad of products and services. But often the person being persuaded is left dissatisfied with the overall experience when he/she realizes the product or service may not meet his/her needs. The feeling of manipulation has a long shelf-life, whether in a marketing or sales sense, or when making decisions based upon the arguments made in debate. Debate and persuasion that are fact and logic-based can build positive and lasting relationships. When we aspire to stay above the emotional fray we win every time in so many ways. This entry was posted in Entrepreneurship and tagged ad hominem, debate, emotion, Entrepreneurial Spirit, Entrepreneurs, Entrepreneurship, facts, logic, persuasion by anentrepreneurswords. Bookmark the permalink.